Francis Ford Coppola’s ambitious jazz peppered crime-drama is the biggest film from 1984 you probably haven’t heard of. Despite critical praise the film was a box office failure, earning less than half of its $58 million budget. 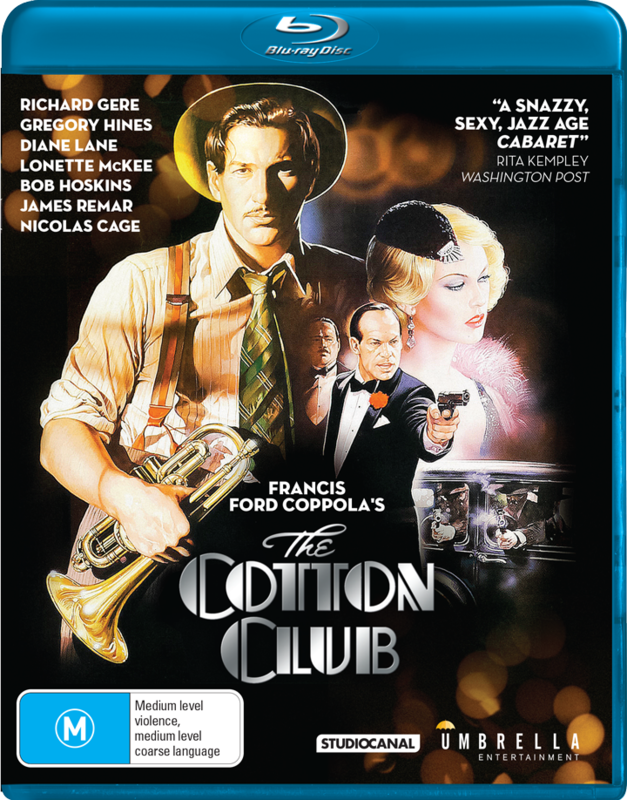 Now available on Blu-ray from Umbrella Entertainment, The Cotton Club springs to life in high definition. An ensemble piece to say the least, Harlem’s famous night club is a social mixing bowl for numerous individuals, from rising stars, classy dames, to notorious underworld figures wanting their taste of the action. 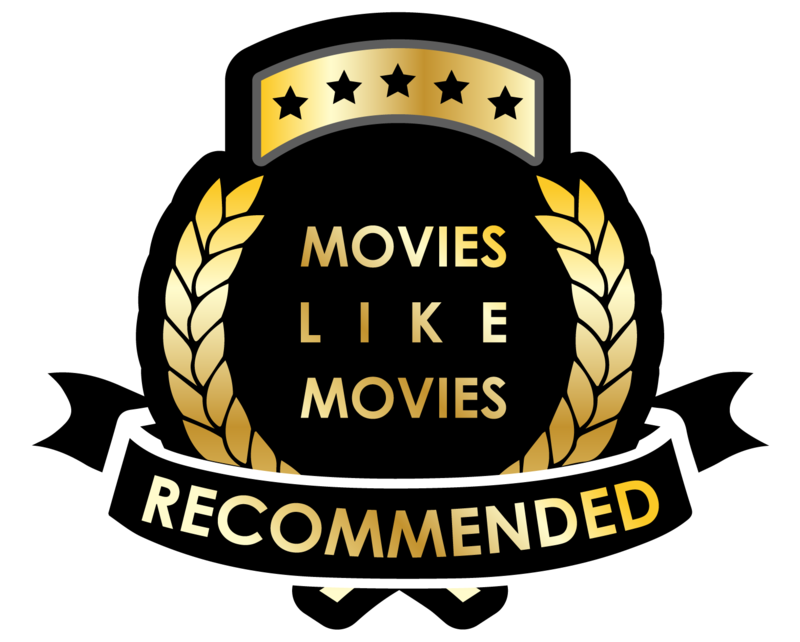 Needless to say, there’s quite lot to take in with a multitude of characters each with their own respective story-arch, often intertwining with the film’s comprehensive narrative. With so much for audiences to digest, the high level of energy and style rarely subsides, keeping the viewer engaged. Our main protagonist is trumpet player Dixie Dwyer portrayed intensely by Richard Gere, an accomplished trumpet player in his own right. Dixie dreams of making it big, but finds himself under the thumb of foul mid-level gangster Dutch Schultz, played by James Remar (The Warriors) in a menacing and relentless performance. To further complicate the matter, Dixie is also in love with Dutch’s girl Vera Cicero, a femme fatale of sorts, played by Diane Lane. Many of the supporting players have similar aspirations and strive to make their mark while faced with the social prejudice of the late 1920s and early 30s. Personal ambitions and relationships prove to be a hurdle, particularly for Gregory Hines as tap-dancer Sandman Williams and the film’s tap impoverisher, who alienates his brother for the chance of a solo performance. Organised crime is a prominent force, but is given great contrast to Dutch’s violence tendency through The Cotton Club’s owner more well-intended Owney Madden (Bob Hoskins) and his imposing right-hand man Frenchy (Fred Gwynne). With only a simple menu, the exceptional presentation of The Cotton Club makes for the lack of bonus content. Colour is vibrant and consistent, while sharpness is balanced with a perfect amount of film grain, preventing an overlay polished look. Sound no doubt plays significant part throughout the feature and the region B encoded disc’s 2.0 DTS-HD Master Audio track complements the many dazzling musical numbers. While arguably a case of style over substance, you can’t deny the wonderful job Coppola has done in capturing the lively atmosphere and glamour of this distinctive era in New York City’s culturally diverse history. The Cotton Club is not only a forgotten classic, but a time capsule in many respects. Bob Hoskins, Diane Lane, Francis Ford Coppola, James Remar, Richard Gere, Umbrella Entertainment. Bookmark.